Every Friday night, Eric and I have a date-night-at-home while the kids have what we’ve affectionately dubbed “fun night.” That basically means that they get to have a fun dinner of frozen foods or convenience foods that they’re in charge of making. This is usually a sampling of different frozen appetizers, or frozen pizzas, or hot dogs and shells and cheese. All 5 of them absolutely love these nights, and Eric and I love that it gives us a night off! The two of us have the same thing every single Friday night, and our menus haven’t varied in probably 2 or 3 years. For me, I have 8 – 10 Jalapeno Poppers (I’m not picky and I’ve yet to really find a frozen brand of poppers that I don’t like!) with some kind of fun dipping sauce. Eric grills himself a steak either outside or on the stove, depending on the weather, and then some of our favorite kettle-style potato chips as a side. We both get exactly what we want, and we’ve yet to get tired of it. Every week I wonder how those poppers can still taste SO good. In case it’s not obvious, I am a big Jalapeno Popper fan, but my favorite frozen ones are reserved solely for our Friday nights. So, when I, or anyone else for that matter, want that flavor during the week, I get a little creative. Just like with these Stuffed Jalapeno Chicken Rolls! 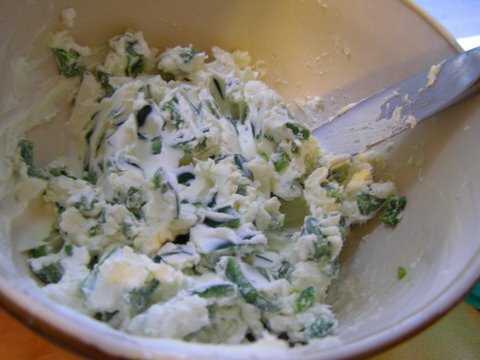 In a small bowl, combine the cream cheese, diced jalapenos, salt and garlic powder. Use immediately or refrigerate for a while to allow the flavors to combine. 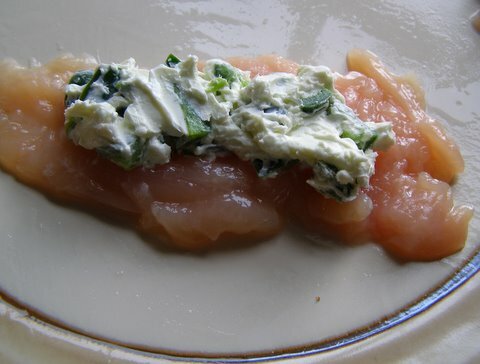 Spread some cream cheese-jalapeno mixture down the center of each piece of chicken. Roll up tightly and secure with a toothpick. Season each roll with salt and pepper to taste. Dip the chicken in the melted butter and then roll in the bread crumbs. Repeat until done. Place in a casserole dish and bake at 375 degrees for 20-25 minutes, depending on the thickness of the chicken, until fully cooked. These are super freezer friendly too. What I find works the best is prepping them through the breadcrumb step, and then freezing on a cookie sheet before putting into a freezer bag for long term storage. Then, I just cook them right from the freezer without thawing for about 45 minutes to an hour at 400 degrees. Perfection! 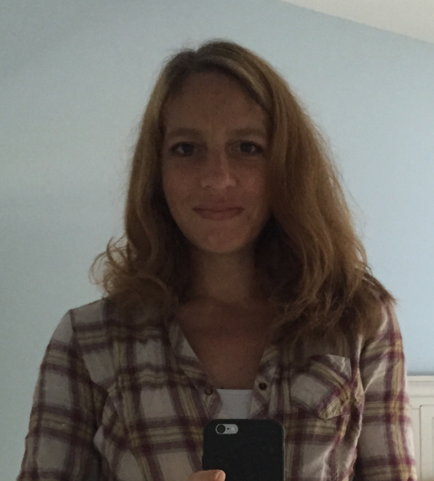 We have a CSA and have the same situation each summer. Last summer we had more kohlrabi at this time of year than we knew what to do with. And we ended the summer with peppers, both sweet and hot, galore. I am still trying to use up peppers in my freezer. Glad you found a good source for fresh produce. It tastes better when it’s fresh….I’m sure you will all love it! We go to our local farmer’s market every week, and at the beginning I tried to get at least one new thing every week. I found out that there were so many things we liked a lot, but didn’t know only because we’d never tried them before! Also, I signed up for your meal plan awhile back (June 20th, I believe) and then sent you an email awhile after that. I’m wondering if you received those things? I’m always looking for fun Friday meals, and this was amazing! 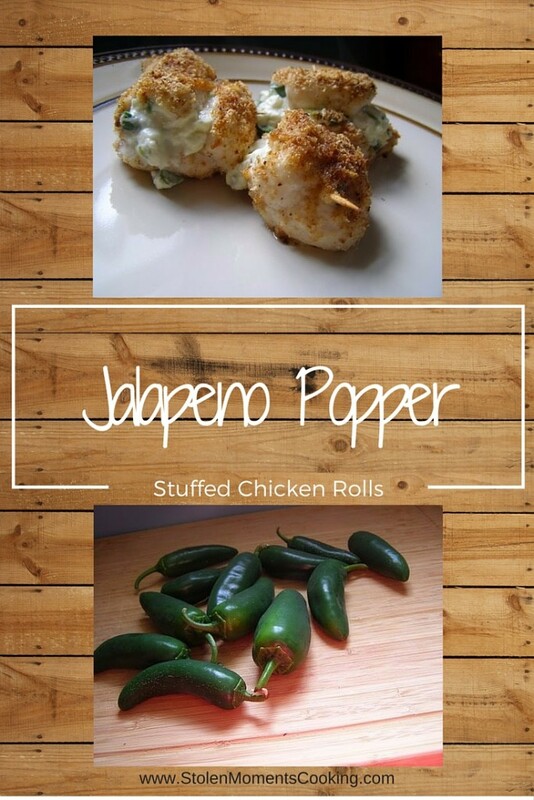 I’m surprised about how true it was to jalapeno popper flavors with so few ingredients. 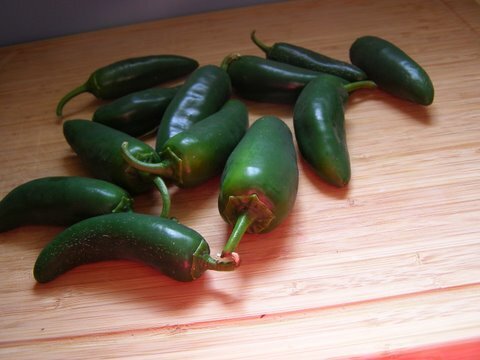 I ran into the opposite problem that you had, though–I used one huge jalapeno, and it was so mild that it was almost like a green bell pepper. You just never know about the heat levels until you taste them. I considered adding something to bump up the heat, but I also didn’t want to tamper with the base flavor too much. I did use a half teaspoon of onion powder in addition to the garlic powder, and I cut the salt in half. Next time, I think I’ll use only 1/4 teaspoon of salt. When I was assembling them, I thought the 4 ounces of cream cheese seemed scant, but it was the perfect balance. Loved these! Can’t wait to have them again! 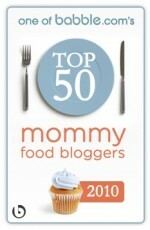 I’ve made this a couple of times for dinner and it is always a hit! I am going to try these tonight. It will be perfect for the dinner.